July Mug Rug of the Month Come on in and get your kit! 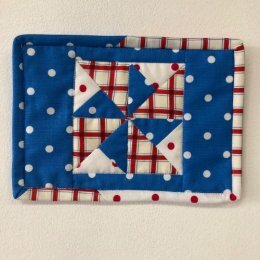 Red, White and Blue Pinwheel. You are going to absolutely love August's Mug Rug. It's already on display!